Take a break from Orlando with a short trip to Busch Gardens in Tampa, about 1h 50 min away. Have a day of magic on the 14th (Wed) at Walt Disney World Resort. Pack the 12th (Mon) with family-friendly diversions at Universal's Islands of Adventure. 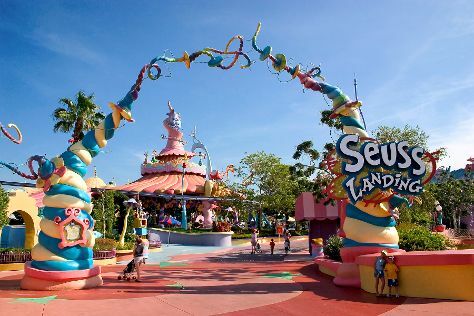 There's much more to do: get in on the family fun at Universal Orlando Resort, meet the residents at SeaWorld Orlando, tour the pleasant surroundings at Discovery Cove, and laugh and play at Happily Ever After Fireworks. For where to stay, photos, maps, and more tourist information, you can read our Orlando trip planning tool . If you are flying in from United Kingdom, the closest major airports are Orlando International Airport, Orlando Sanford International Airport and Daytona Beach International Airport. In August in Orlando, expect temperatures between 39°C during the day and 28°C at night. Cap off your sightseeing on the 25th (Sun) early enough to travel back home.